This advertising service is free of charge. No fees are required to create an advertisement, which should be submitted to the Association for posting. It is primarily for 1964-70 Formula 3 cars or components but advertisements for other cars or components may be accepted at the Association’s discretion. Responsibility for the verification of any information found in advertisements rests with the purchaser; 1000cc Formula Three Historic Racing Association cannot be held liable for any transaction or be responsible for any misrepresentation. Be kind enough to inform us if your car or parts have been sold, so that the listing can be up-dated. Please Note: For cars to be eligible to race in Historic Formula 3 the individual car must have proof of being raced in period compliant with period FiA Formula 3 regulation. Full Eligibility Requirements for Historic Formula 3 can be found here and these should be read before any purchase. Chassis No: F3-69-6 ; Originally supplied new to Jolly Club Milan and driven by Giorgio Pianta and Franco Conti during 1969/70. Re-patriated in 2008 and fully restored by Richard Eyre specifically for Monaco 2010 ( finished 5th ). Subsequently acquired by current owner in 2013 and maintained to the highest standards with no expense spared. Numerous podium finishes including outright wins at Zandvoort ( + HF3 lap record ); Silverstone and Donington. Goodwood entries past 4 years. Full documentation with HTP until 2026. Totally correct and immaculate condition and fully race ready with freshly built Richardson engine ( zero miles ) and Hewland Mk6 gearbox with new 7/31 cwp. Aluminium fully adjustable Koni dampers; Lifeline Zero 360 electric fire extinguisher system. Dry and Wet tyres. Some additional spares. Purchased by me in 1987 in very poor condition, its full restoration to side draught specification was completed in 2000. In 2002 with 7 class wins and a class 2nd it won the UK HSCC Classic Racing Cars championship for its class (D) driven by James Long. Since then it has had a much quieter life coming out 14 times the last one being the Oulton Park Gold Cup in August with no issues and a 7th place. It has never been crashed during my ownership. It does not have a chassis number but has MSA papers. It is mentioned in Bernard Cowdrey’s book Formula 3 on the rear cover (No. 1) and on pages 133 (No.66) and 137 (No.1). I built and have always overhauled the engine myself, with machining and balancing outsourced. It has the correct Hewland Mk6 gearbox (H6-801) always overhauled by Peter Smith. During its restoration the chassis frame was by Peter Denty. Whilst it ran faultlessly at Oulton Park in August with new belts, extinguisher, doughnuts and oil, for reliability and peace of mind it deserves a full strip and rebuild. It is offered for sale with a small parts package. 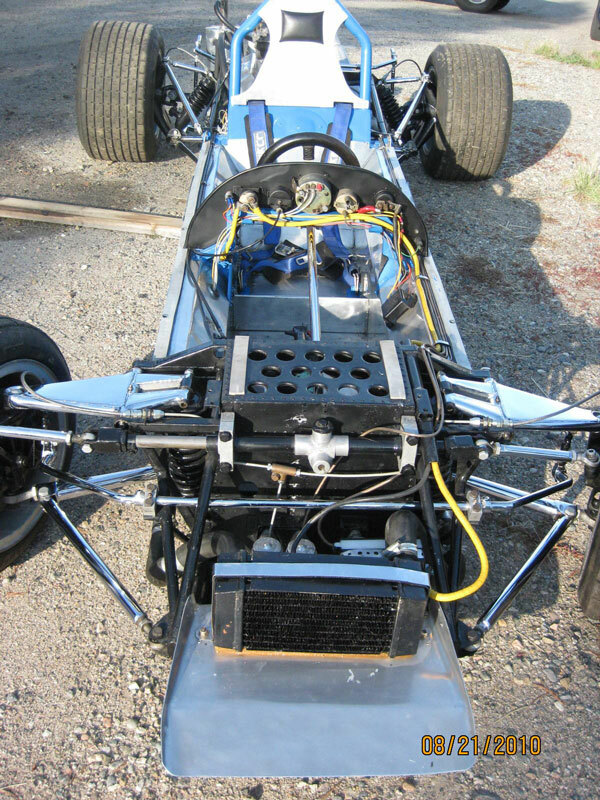 BRABHAM BT28-22, very excellent and clear history, very competitive car, totally refurbished, bodywork and all the details perfect as per proper configuration of the period. Wanted good quality Historic F3 engine parts to build a competitive engine. All parts required particularly Block, Crank, Head. Would be happy to consider a complete engine. Smiths Chronometric tachometer in very nice condition. 10.000 rpm with tell-tale and small 90 deg. angle-drive on the back. Hockenheim Historic, Solitude Revival, Vernasca Silver Flag, Castle Dyck and Bern GP. The car has been extensively restored, 2002 - 2005 and 2009 – 2011, and in the last 2 years the bodywork exterior has been re finished, by Formula 1 and Formula Junior specialists, Urban Fässler of Switzerland, who also rebuilt the engine and restored the car to racing condition. 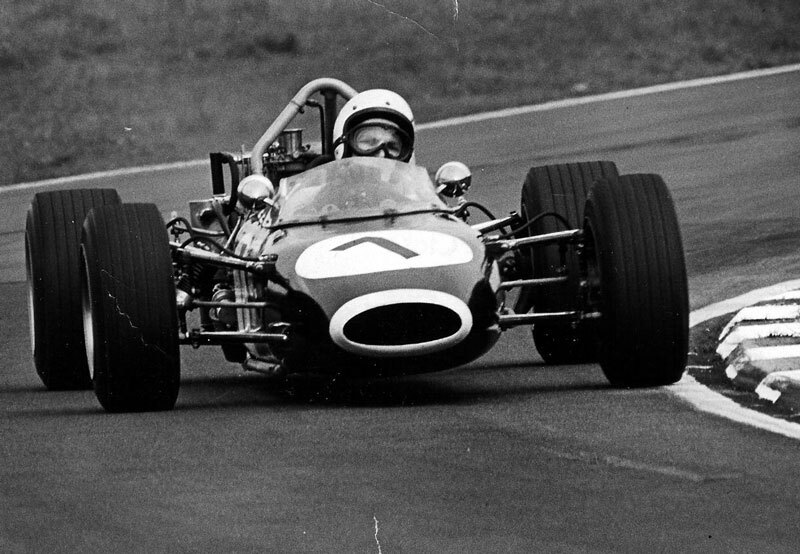 At that time, Cooper T75 competed in F1 races too!!! This car is the last of the 8 Cooper T75 that were produced. The last that Racing Cooper built independently!!! 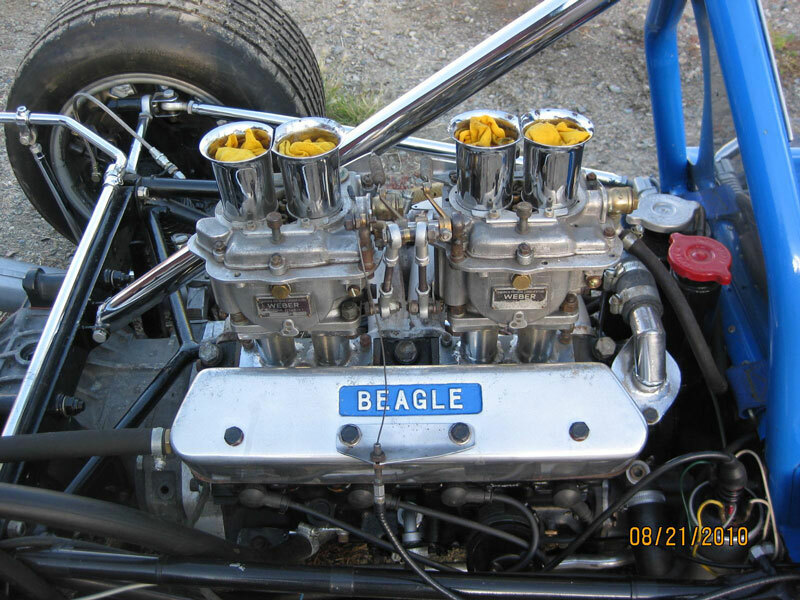 Fitted with and extremely rare original Cosworth SCA 1966 engine. The Car has FIA papers and other documentation. FIA HTP - History, car in perfect condition, with many spare parts - viewing near Milan - POA or better after viewing - interesting offer to quick decisions takers. Inlet Manifold castings; Novamotor, Lucas and Holbay Machined as required. Aluminium Sump castings with removable windage tray, Novamotor pattern. Machined as required. Rocker cover castings; Cosworth Novamotor Mk16, Holbay "flat top" and Holbay "angled top" available. Machined as required. Blanking carb tops; Charles Lucas and Novamotor. Machined as required . Original Cosworth Mae or Mk XVII rocker cover. From a car I hill climbed in the 70s. The thread for the breather is not brilliant, but it never came loose or leaked. Price 320 pounds sterling. LOVA-DKW F3/FJ Monoposto historic race car, designed and constructed in 1963 by Flemish engineer Jef Dujourne at Louvain, Belgium. Believed to be the third LOVA built in a series of specials. Raced from 1963 to 1966 in a number of European events by Antwerp driver Willy Vroomen and Louvain youngster Jean-Claude Franck, complete with a history file charting the LOVA’s continual development until it disappeared from public view in the 1970’s. 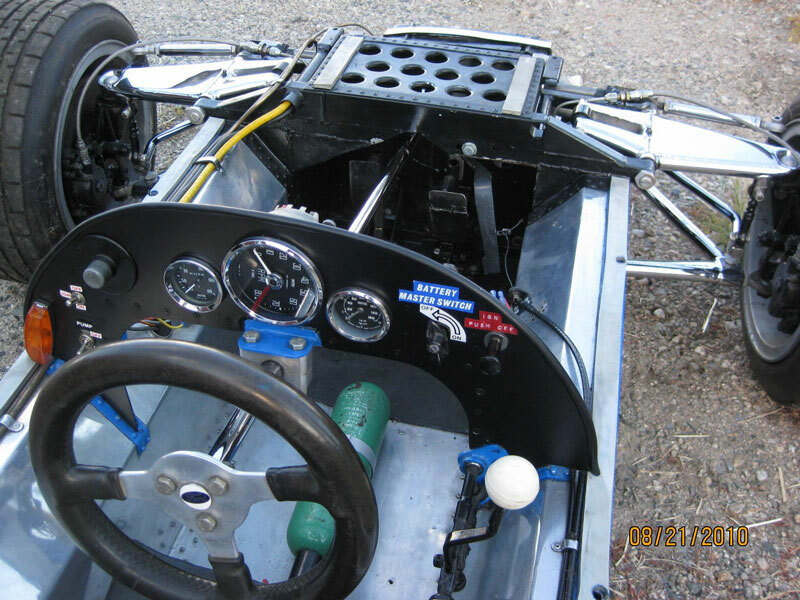 This cleverly engineered single seater has a genuine Works DKW multi-port screamer engine (documentation supports this) mated to a ZF close ratio gearbox and runs inboard disc brakes. Since late 2015, the chassis has been refurbished and brought up to a modern safety specification and fitted with new coil springs and dampers. The Works DKW engine has also been restored by renowned two-stroke Guru Tim Bishop here in the UK. The car can now be heard running and be seen to drive. An opportunity to acquire a significant historic racing car that retains much originality and affords scope for continued refurbishment and personalisation in order to become race-ready for the 2017 season. 109e Block, Westwood liners, Cosworth crank, rods, pistons. Gear drive new A6 cam, followers, bearings. Holbay pump, Line bored, Burton Caps. J&R Holbay 1 pc head rocker gear, also new steel crank still in box. Brabham BT16 Formula 2/3 car, fresh MAE Downdraft engine, Hewland gearbox, very original car ready to take to the track, has chassis plate F2-12-65, ex Paul Collins (older Brother of Peter Collins - Team Manager at Lotus, Williams and Benetton). This car comes with Australian and Irish history. And is now in Switzerland with very fresh FIA HTP and in beautiful condition. After the restoration in 2016, the car has only participated in the demonstration Vernasca Silver Flag in 2016. Steve Wilkinson’s immaculate Brabham BT21B, winner of The Historic Formula 3 European Trophy in 2007, is offered for sale with re-built engine, spare wheels, bodywork with new screen, extensive sets of gear ratios; as well as external water and oil heaters. Well known car in superb condition. Mint condition. Totally restored. For sale without engine. Located near Paris. Other informations or photos on request. Period poster Formula 3 for the Lombank Cup, Brands Hatch June 15th 1969. It is described as good condition B+; if backed onto linen it would be condition A+. Can be viewed at Shepherd Market between May 9th-15th where the vendor is exhibiting. for the Formula 3 race. Options for backing onto linen and framing are available. In 1971 the 'car was purchased from Scuderia Mirabella Mille Miglia in Brescia and was been fitted with a new engine Ford Novamotor 1600 cc, and It continued to race with other drivers including Renzo Zorzi in 1972. 1997 new HTP in February 2009 and other original documentation of era. After the restoration in 2008, the car has only participated in the demonstration Vernasca Silver Flag in 2009. SOLD!! Smiths Chronometric tachometer in very nice condition. SOLD!!! 12.000 rpm with tell-tale and small 90 deg. angle-drive on the back. Essex, Kent, Surrey region at the start of January, providing a quick sale (i.e before end of 2015). Wanted 8 x 13” Brabham wheels, a pair would be nice, but one would do. I have a Brabham 9" x 13" wheel to part ex. if thats what you want? I have a 4” inset on my wheel, but happy to re engineer them to fit. Chassis number AM67 was built for Graham Coaker, the 'C' in March, in 1965 and raced all over the UK in 1966 by Graham (the full listing and verification from Duncan Rabagliati is in the history file). Acquired by the present owner in 2006 it has subsequently been completely rebuilt with the help of the excellent organisation of Steve Hart Race Preparation and to date has run at the Historic Grand Prix Cars Association test day at Silverstone, the Vernasca Hillclimb and at Aintree as a demonstration event. This sensational car with the Ford / Holbay 997cc four cyclinder engine and the Hewland Mk8 gearbox is beautifully finished in Yellow and ready once again to set the tracks alight, the car comes with full FIA papers and is such a fun and exciting race car and is now eligible to race at GOODWOOD !! For more information please let me know. Lotus 69 top body section + nose cone, in Team Lotus green, yellow stripe. Gear drive tacho with mounting plate; Roller Rockers. Steering rack, pedals, fuel tank, new Len Marchant body. For sale 12000 Smiths chronometric in perfect condition with tale . This car was one of the stars at the 73rd Goodwood Members meeting. Originally built as a 1000cc F3 and driven by Luciano Innocenti, converted to a 1600cc F3 in 1971 for Luigi Fontanesi. Only 4 race new since restoration and well sorted in every respect. Absolutely on the button and race ready. -misc: New AR calipers, ATL wedge & pod fuel cell etc.. Easily converted back to 1000cc F3. Can be sold without engine. Reluctant sale due to another Tecno endeavour! Sold Merlyn Mk14A very successful car raced in period by Patrick Champion, it raced at Monaco in 1969 has finished every race it has entered for the last 4 years rarely beaten, holds many lap records. Championship winner in UK and Europe. Two sets of wheels, fresh tyres, spare gear ratios and support at first meeting. Body pillar with full inspection in 2010, with substitution of hubs, brake discs, axle shaft, brake hose clamp, pipes. Participation at Gran Challenge Formule Storiche 2012/2013 and Montecarlo 2010. Winner in 2010, 2011 and 2013. Full continuous history; Ex-Red Rose Motors; Driven by Norman Foulds etc.. This superb BT21B is believed to have been raced in F3 by Alan Rollinson and has only been used in speed events since the mid seventies, with one owner for the past 30 years. Fitted with a 185 bhp Lotus Twin Cam engine, which was professionally rebuilt in January 2014 and has only been used on a handful of hillclimbs since. Supplied with two rebuilt Hewland gearboxes - a low mileage Mk 9 and a zero miles Mk 5. Plumbed in extinguisher, short and long circuit fuel tanks and on board camera. Extensive spares package. Very successful competitor in European hillclimbs and also a previous historic record holder at Gurston Down. Could readily be reverted to circuit use. Complete with MSA and FFSA logbooks and recently expired HTP (new papers in process). Absolutely pristine throughout - one of the best prepared competition cars we have ever seen. Currently fitted with a zero hour Lotus Twin cam engine, following a meticulous re-build. Hewland four speed gearbox with unlocked differential; 8" and 19" wheels. Interesting history; ex Mike Knight and Tony Dean. US$ 50,000 with engine, could be sold separately. SOLD Chevron B17 chassis no. 6, 1970 model, freshly rebuilt Richardson engine with less than 2 hours. Very reliable, considered to be one of the most competitive cars of the era. Comes with FiA papers; eligible for multiple historic events. Brabham BT16, ex Denny Hulme 1965 European Formula Two Championship. Recently restored, SCA engine, Hewland gearbox, in excellent condition. I am aware that members are getting responses to adverts on this site and other sites that offer to pay the asking price for cars without any viewing but with the condition that a very large amount is included for a shipping company specified in the E-mail. It is almost certain that this is a scam and we would advise to delete any e-mails that look to lead this way. Brabham BT21B components taken without permission of owner from storage at the Aylesbury Mushroom Farm near Brize Norton, Oxfordshire. Four (all corners) assembled suspensions; Wheels, wishbones, uprights, hubs, brakes, springs, dampers, drive shafts etc.. We are left with chassis frame and bodywork only. If you can help please contact Keith, myself or my son. Thanks in anticipation! 9/31 Ring Gear and Pinion. This is a monocoque car built as a Formula 3 car. The car was designed and built by Jim Yardley and was run in Monoposto and in British F3 Championsip and in the Martini International Trophy. It is presently with a 1,500 cc downdraft engine and is in USA. Good news for all Tecno owners: AN Italian company is able to re-manufacture new wheels for Tecnos to the original design (see photo): If you have a Tecno and wish to order new sets of wheels for your car, please contact (e-mail to: derossi@free.fr) so we can make a group order and obtain better prices. Used parts from De Sanctis F3; Most internals, all used. Differential, ring and pinion, gears, layshaft, hubs, stub axles, shift forks etc. $1500. All parts located Colorado USA.